ACM SIGCOMM Newsletter: Computer Communications Review The SIG's newsletter/journal has continued successfully under the editorship of Martha Steenstrup. It has continued to provide a digest of standards in the area of computer and other communications systems. Lyman Chapin has tracked standards meetings as part of his "member at large" role. The joint publication ACM/IEEE Transactions on Networks continues to be a very strong journal, and probably now the key communications publication in the world. Proposed Joint IEEE/ACM Surveys, IEEE Networks, and Globecom Internet. The IEEE CommSoc has proposed 3 further joint activities, which are still under discussion. The online Communications Surveys journal, and the very popular (but well regarded) IEEE Network have both asked for SIGCOMM involvement. We are assessing what we get out of the proposed deals. We have set up a donation to the excellent US National Laboratory for Applied Network Research, NLANR. Dr Kimberly Claffy is using this to offset costs of workstations for visualising network conditions - this was demonstrated to very great effect at the June IETF meeting, where network hotspots, routing instabilities, and multicast traffic were all displayed very graphically in a plenary session. We fund an Internet traffic archive at LBL, run by Vern Paxson. We have funded Henning Schulzrinne's excellent network bibliography at Columbia. Conferences funded/sponsored in this report include SIGCOMM 96 in Stanford University in CA, MobiCom 96, the 2nd annual Mobile Computing Conference in Rye, NY, MM 96, the 4th annual International Multimedia Conference and Exhibition in Boston, MA, and finally, a conference newly supported by SIGCOMM: VRML 97, the 2nd annual Symposium on the Virtual Reality Modeling Language in Monterey, CA. All conferences were technically and financially successful. Jon Postel and Louis Pouzin will be this year's recipients of the annual SIGCOMM award. Their contributions are complementary - Jon as almost singlehandedly run the Internet Assigned Numbers Authority as well as acting as RFC Editor since the start of the process. He has also made some significant contributions in the area of formal specification analysis of protocols. Louis Pouzin is credited with the invention of the datagram network! Last year's award was to Vint Cerf ('Father of the Internet' and now at MCI), Next year, we have a long list of possibilities, thanks to Craig Partridge. NLANR are also providing an online Web repository for educational material about the net, including reports, statistics and so on. We see the LBL Traffic Repository as part of this online initiative too. SIGCOMM 97 is to be in Cannes, in the South of France. We are already starting to attract a high attendance, as well as an excellent level of sponsorship, due to the local organizer's efforts. The chairs (Christian Huitema, ex INRIA, now at Bellcore) and Scott Shenker (at Xerox PARC) are well known in the community. The local organisers at INRIA (Walid Dabbous and Christophe Diot) are well know throughout Europe. We are using the European Research community's means of dissemination to try to add non-US attendance. In fact, costs of attending this for East Coast US researchers are probably not very different than travelling and accommodation in the West coast of the US. SIGCOMM 98 in Vancouver, Jonathan Smith, Gary Delp tech chairs, and Gerald Neufeld of UBC as general chair. The program committee for this is already underway. MobiCom 97 will be held in Budapest, Hungary September 26-30, with David Johnson (CMU) and Christopher Rose (Rutgers) as program chairs, and Laszlo Pap (Tech Univ of Budapest) and Kazem Sohraby (Lucent) as general chairs. We would especially like to thank Chris Edmondson-Yurkanan for continuing heroic efforts coordinating with other conferences, and also, this year, Ellen Zegura and Serge Fdida for coordinating student travel grant awards for the annual conference. Membership activities and/or concerns in the next 1 - 3 years, including leadership development. It is still a continuing goal to provide more and more quality technical material to members of the SIG online, and in as timely and cost effective a manner as possible. Again we are providing the full papers for the annual SIGCOMM conference for 1997, online before the conference - this is quite unusual (many conferences do this after the event - we believe that we have a strong enough community that people are actively attracted to the event itself because, not despite, the papers being available beforehand). We've done a lot of work on attracting new members this year -- Pat Dowd has worked hard on a scheme to reduce student membership fees ( Note: these will be the lowest fees of any SIG for students, starting July 1 ). We've also circulated a number of the extra 25th anniversary. issues of the ACM CCR (featuring a number of the key papers from the newsletter and conference) - for example, IEEE Globecom in November 1996, was attended by 2000 people, and around 600 copies distributed there. At the time of writing, plans for SIGCOMM 97 are well underway, and we have begun efforts for SIGCOMM 98 which will be in Vancouver, Canada. Ties with MM, MobiCom and Graph continue to be strong. The journal/newsletter plans are stable. We have a goal of more regular distribution of CCR, (it was getting better, but we still haven't received April's ). SIGCOMM continues to remain very financially healthy. It has a solid basis - a stable active membership who consistently support the conferences sponsored by SIGCOMM. Please note that proposals are being solicited again from the SIGCOMM membership and community for Special Projects - please forward your ideas on possible projects that would benefit the membership to the chair. 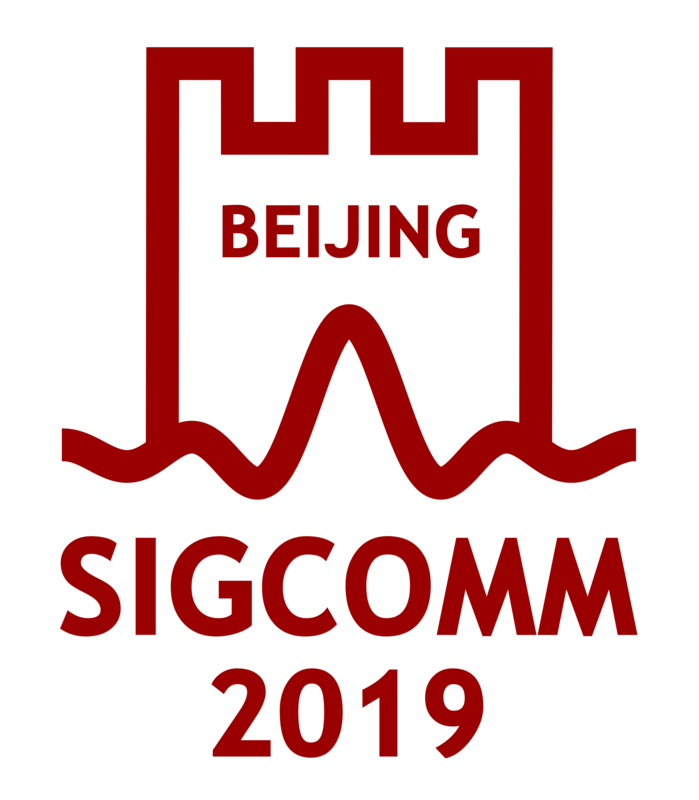 We are soliciting proposals for location and chairs for SIGCOMM 99. The conference will most likely be held in the Eastern half of the U.S., although we do not have to stick with tradition. Listing of computer and other equipment purchases. There was one special equipment purchases in this reporting period. We acquired disk storage so that Vern Paxson could host the Internet traffic archive. This has been linked in to the SIG Home page, by Greg Wetzel.